Title: Africa. Publication: Geographiae universae tum veteris, tum novae absolutissimum opus... Auctore eodem Io. Anto. Magino Patavino..., Cologne 1597, Petrus Keschedt. 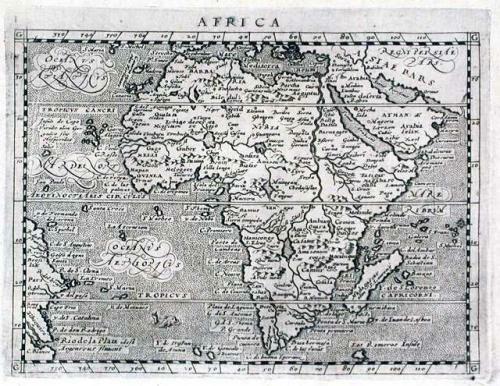 A detailed map of the African continent and the Atlantic Ocean stretching to the east coast of South America. Numerous fictitious islands are depicted. Text on verso.